I've had the chance to try several new-to-me rpgs recently. Here are my impressions of three I played online. The Mutant Crawl Classics Kickstarter pdf auspiciously arrived the same week I got to play an online session with James Walls. He ran a Waterworld-SeaQuest inspired MCC 0-level funnel as part of Lawful Good Gaming. They’re a group of GMs who put on events to support charities. Players can buy a seat by making a donation. In this case we appropriately gave money to the Ocean Conservancy. I was super-excited to play this. 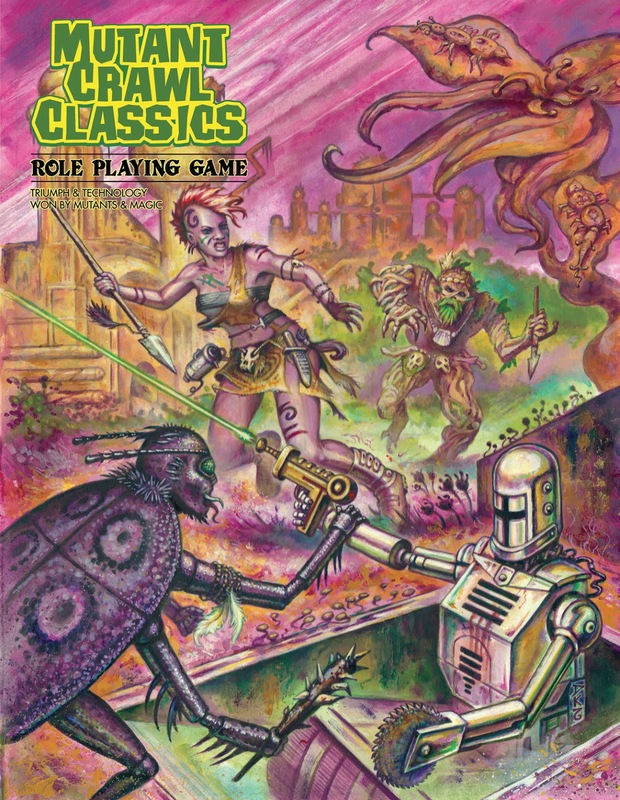 I’d backed Mutant Crawl Classics purely out of my nostalgia for 1st Edition Gamma World. GW had a gonzo that we took seriously at the time. Only later did TSR make that more technicolor and cartoony. As importantly, I’d leapt at the chance to play with Walls. 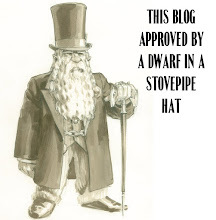 I follow him on G+ and he’s always posting interesting write ups of his game. His “Disney Crawl Classics” session report is amazing. It inspired me to do a Willy Wonka hack of the same adventure for RPG Geek’s VirtuaCon a couple years ago (before I’d heard of Blood in the Chocolate). We had to travel out to find ancient relics as a rite of passage. If we succeeded, we could become part of the Dolphquisition. They gave us a pseudo-automated boat ala Pirates of the Caribbean that one person figured out how to operate. Now we had a Captain! We explored and got killed, repeatedly. The conflict in the sunken Hall of Presidents against animatronic Nixon and others did many of us in. As is right and proper, I lost two of my three characters. We had an awesome end scene delivering and pitching our relic finds to Lord Darwinius. 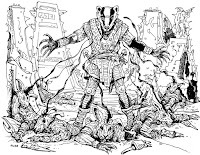 I dig OSR games from time to time and I like good gonzo. This did both sides of the equation right. 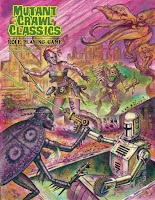 Mutant Crawl Classics isn’t that far from Dungeon Crawl Classics. In fact at the funnel level, the only real differences are cosmetic mutations and tech rolls for figuring out equipment. Once you hit first level in the full game, you manifest mutant abilities and can choose a character class. I’ve had a chance to skim the full MCC pdf. It looks good, but I in play couldn’t easily find a couple of the basic rules. 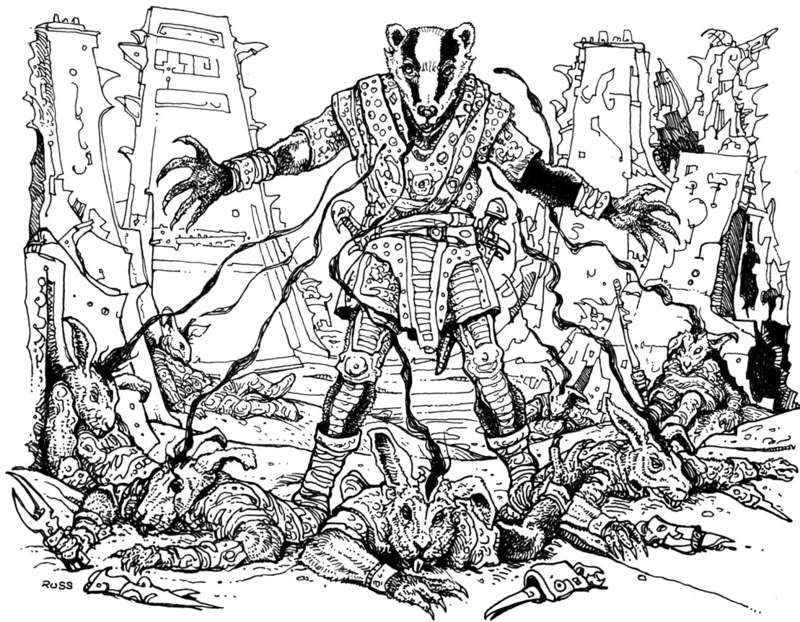 The group I played with mentioned some problems they’d seen with the mechanics, in particular the Shaman class. I checked with my local OSR-pert, Steve Sigety. He said the Shaman issue had blown up on the boards, with players finding a host of typos and errata. Some DCC basic info had been left out as well. Goodman Games has sent an email to backers saying they would be fixing some errors. But they also stated that they’d playtested thoroughly and whatever problems readers saw weren’t actual issues. That’s at least my read from the email. Those changes have meant a push-back on the printing, though how long wasn’t clear. 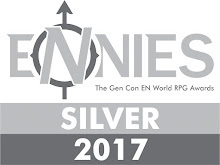 I think they’ll still have copies for Gen Con. Maybe? In any case, I enjoyed Mutant Crawl Classics, though I only saw the thinnest slice of the mechanics. It isn’t a generic post-apocalyptic game. Like Gamma World it has a strong sense of place and setting, with automatons and AI divinities. That being said I suspect you’ll be able to adapt modules from GW and The Mutant Epoch, another one which shares this tone. You’ll also likely be able to rework DCC adventures. Overall I dig it, and I’m looking forward to the hardcover. I might even run a little of it for The Gauntlet when it finally lands. Modiphius’ version is the fifth attempt at a Conan RPG (following TSR’s AD&D module & stand-alone game; GURPS Conan; and Mongoose’s d20 version). While I ran REH: Conan from the Quickstart, the final KS big book is apparently just landing in people’s hands. I didn’t back it, but my curiosity about the “2d20” system it uses pushed me to try it out. 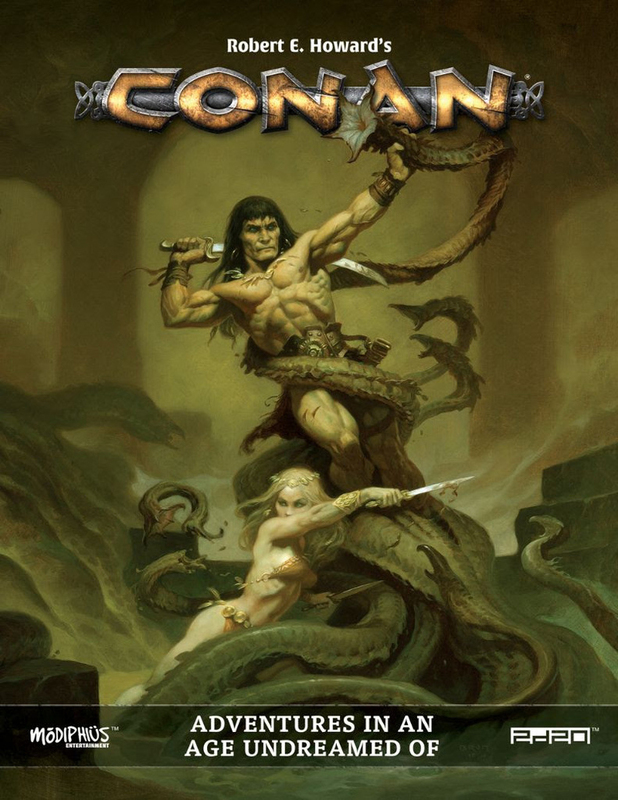 I also dug the full title: Robert E. Howard’s Conan: Adventures in an Age of Undreamed Of, which stress the source material. REH Conan uses 2d20 for all resolution. You test against Attribute + Expertise. A decent attribute would be a 10 and decent skill a 2, giving you a 12 or less. Each die which rolls that value or below give you a success. If you have Focus number in a skill, then every die which rolls that number or below generates two successes. Imagine that as a crit value you can buy up. Difficulties range from 1 to 5, with 2 being a decent default for challenging tasks. Everything’s done as a test—so an attack’s a D1 unless the target defends, in which case it’s a contest or “struggle” of successes. That’s supported by the “Momentum” mechanic. When you score more successes on a skill test than the difficulty rating, the excess becomes Momentum. You can immediately spend that to boost your action. You can’t keep momentum from turn to turn, but you can drop it into a group pool. That represents cooperation, leadership, and teamwork. This pool sticks around better, dropping one at the end of every scene and every round within a combat scene. Those two mechanics work well together. Damage, on the other hand, feels a little wonkier. You roll d6’s for a successful hit. An average attack might roll 5 dice, with some of those coming from stat and some from the weapon itself. But you’re not reading those dice straight. Instead each 1 rolled does one damage, each 2 does two. But each 3 and 4 do nothing. BUT each 5 and 6 do one damage, plus they can create a special effect. Most weapons have an FX which can be triggered by these 5 & 6 rolls. They include things like extra damage, unbalancing, piercing armor, etc. Damage affects an ongoing set of HP, called Vigor for the physical side of things. You mark down your Vigor as you take damage. If you run out of Vigor, you start taking wounds which cause die penalties. Vigor clears between scenes or by spending a fortune point during an action scene. You have two different damage tracks, one for physical and one for mental. To keep in genre, everyone begins with a Steely Gaze that deals mental stress. REH Conan has a ton of moving parts. Player actions generate Doom points which the GM can spend for effects. Momentum and fortune points add tons of options to actions. In combat players have many maneuver choices. Keep in mind I’m just working from the Quick Start so the big book may have much more. We liked many elements of the game. In particular the shared momentum pool felt good. It made supporting other players a viable option. I dug that you get momentum for any roll over the needed difficulty, so awesome non-combat rolls don’t go to waste. I also thought the character special abilities felt interesting though we only see a few in the QS. I like the GM’s Doom pool. It reminds me of Coriolis. That Doom pool will definitely grow in play for a simple reason. If players want to perform a defense reaction out of turn, they have to give the GM a Doom. But it’s also a game with a lot of details to track. REH Conan comes in just over what I consider the maximum number of skills for a game. It has 25 and I draw the line at 24. But each of these skills has three distinct pieces of info to recall: stat, skill level, and focus. You have tons of choices in combat: momentum, fortune, maneuvers, and more but that can result in analysis paralysis and slow down. I also don’t dig having two separate damage tracks. If you have both then anyone throwing non-standard damage (i.e. mental) often won’t stack with their companion’s attacks. The damage dice also take some getting used to. I like the concept, but it slowed things down because of the online tools we had to use for that. We played via Roll20 since it has a solid pre-built character sheet with automation. I entered in the details for the seven pre-gen PCs from the quick start by hand. There’s so much info there and no explanation so I know I got some things wrong. If you watch the sessions you’ll notice the PCs damage calculations double-dip on damage. The sheet also used tiny, tiny font for some of the tracking elements. But the biggest problem came from the die roller. Rolling the automated 2d20 was OK, except that you then had to mouseover the results to see if you’d gotten extra success from Focus. Damage was worse, even though we had a rollable table built for the dice. You had to stop, check the dice, figure out any rerolls, etc. All of that in the tiny, bottom corner box with a finicky pop up. I don’t think that helped the experience. All that being said, I dug this as a trad game. 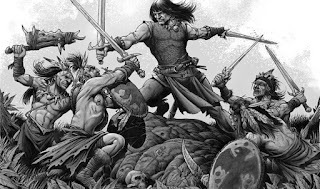 If I wanted a trad, steel-thewed Conan rpg I’d go for this, but only face-to-face. In person you have tangible dice and the fun of sorting the results. I’m dumb, so I’d probably buy the specialty dice they sell. REH Conan has a decent feel and some fun mechanics to encourage some combat choices (for melee characters). Complexity-wise, it falls between Mutant & Masterminds and 13th Age for me. You can see the videos of those two sessions here. (Session One, Session Two). We discuss our impressions at the end of the second session. 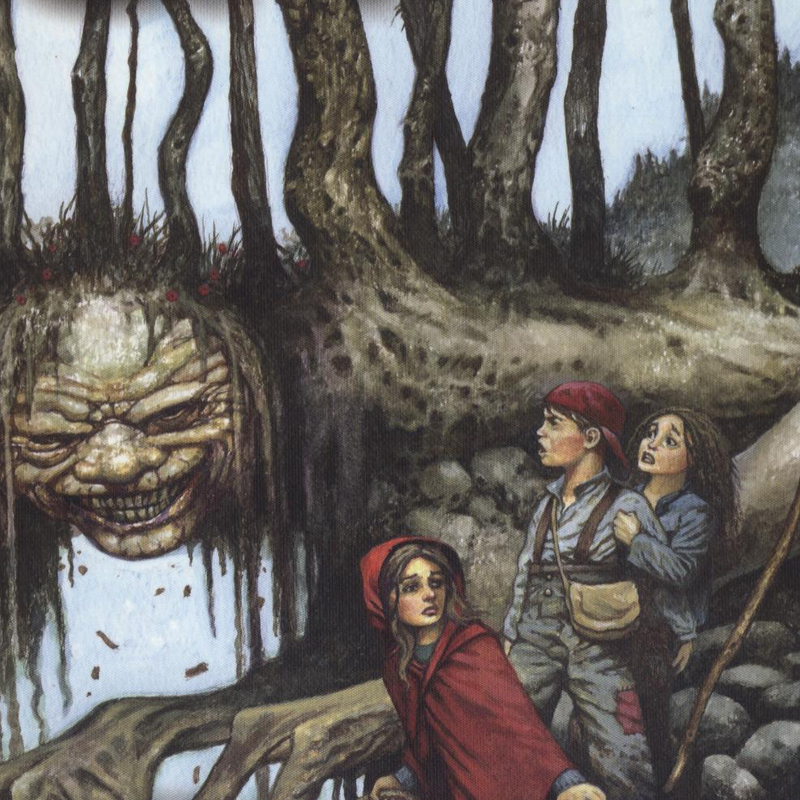 I also recently ran two sessions of Grimm, an OOP rpg from Fantasy Flight. Grimm began as a d20 sourcebook- the most notable of the Horizon series from Fantasy Flight. In it children from our world end up sucked into a twisted land where dark versions of all of these tales lay in wait to ambush them. The original booklet hinted at rich world-building. It was dark and disturbing with a new take on the children in peril genre. 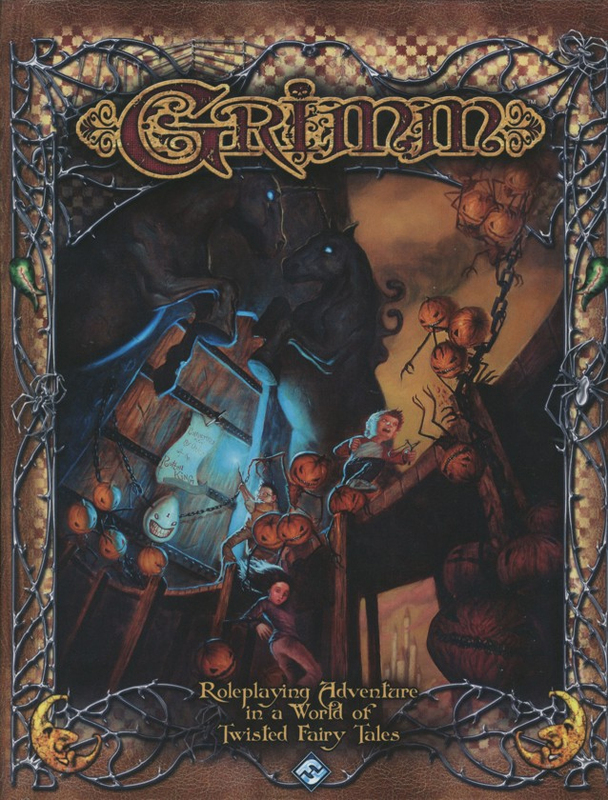 Later Fantasy Flight published this stand-alone version of the game- expanding and developing the concepts with the Grimm hardcover. This ditched d20 in favor of a completely new system. I’d run Grimm over a decade ago, adapting True20 and working from the thinner booklet. I dug it enough that I bought the hardcover of the later edition. My copy, complete with a massive printing error, has sat on my shelf. But someone from The Gauntlet mentioned it in passing, so I dug it out. To keep my story short, I really like the setting, but dislike the mechanics. They didn’t click for me. When I go to run these online sessions, my first step is to make a cheat sheet. That’s how I digest the rules. Grimm’s opaque, with details scattered, which made that challenging. Characters have three groups of skills Core Traits (your default attributes), Playground (physical tasks), and Study (knowledge). I like some of those-- 4H, Country Club, Scamper—they’re evocative. Each of these as a “Grade Level” rating. When you actually go to do something, the GM sets a grade level difficulty. The player check their grade for the task and rolls a d6. If they roll a 2-5, they simply act at that grade level. If they roll a 1, they act at one level lower. If they roll a 6, they act one grade higher and may roll again trying to get another six. It’s simple, but weirdly unsatisfying. Especially since the game then layers lots of complexities on top of that: multiple dice for certain circumstances, injury penalties, focusing, relative statures, combat maneuvers, etc. It’s clunky. A clearer set of rules could have worked around that, but the density works against there. There’s a lot of mechanics going on. It feels as complex as REH Conan. And at the base you’re usually rolling a single die to see if you do the norm. It has other issues: overlapping abilities, fenced off talents assuming a long game, imbalance of archetypes & abilities. It’s something that a GM and table who invested time in it could get around. 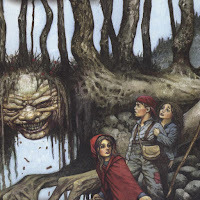 I think a game about kids fantastical adventures, even terrifying ones, needs a lighter system. The setting nearly saves the whole thing for me. It has lots of ideas and cool set pieces. It’s more of a toolbox than a full campaign, despite being strongly level-based. Grimm has so many ideas, but some feel discordant to one another- characters and elements don’t necessarily fit together. The tone shifts from place to place. The hard cover version’s much larger than the d20 one, 3+ times larger, but that doesn’t necessarily help it. The shorter text forced the designers to be focused, concise, and clear. The hardcover has more material, some of it great, some of it muddying things. If I wanted to run Grimm again (and I do). I’d port it over to an easier system. I’d even consider going back to my True20 version. I don’t think the setting needs the power curve and stepped approach of a classic level-based game. A more open system like BRP, ORE System, Fate, or PbtA could do the job better. I’d need to figure out how imagination and the magic works, but generally it wouldn’t too difficult a hack.